Dear Dr. Finance: Is This A Good Time To Buy Gold? 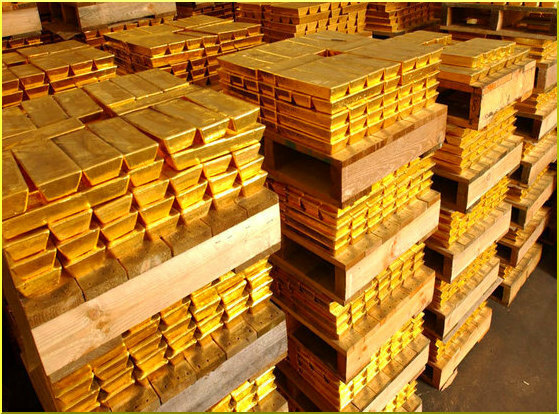 Dr. Finance has almost completely filled the FMO corporate break room with gold bars. West Fargo, ND – We recently received a question for our very own Dr. Finance from a Mr. Don Salberg. Mr. Salberg writes: Dear Dr. Finance, Is this a good time to buy gold? Dear Don: Yes it is! As the chief financial officer for the FM Observer Corporation, I have green-lighted the buying of gold bars for some time now. If you buy on a regular basis like we have been doing, you will be able to dollar-cost-average your way into the gold market. With gold at about $1,200 per ounce, this does seem to be a favorable time to purchase gold. The FM Observer break room is now almost completely full of pallets of gold bars, and we plan on buying more until there is no more room. Ironically, all the letters in Don Salberg can be electroplated to spell: Golden Bars!